. كما يقدم فندق بريزبان ماريوت الكثير من الخدمات لإغناء رحلتك في المدينة. إن واي فاي مجاني في جميع الغرف, خدمة غرف 24 ساعة, خدمة التنظيف يوميًا, خدمات بريدية, خدمة سيارات الأجرة هي جزء فقط من الخدمات التي تميز فندق بريزبان ماريوت عن باقي الفنادق في المدينة. يمكن للنزلاء الاختيار من ضمن مجموعة من الغرف المصممة بعناية لتعكس جواً من الراحة، والتي يتجاوز عددها 267. يمكنك طلب اللائحة الكاملة للخدمات في الفندق ومن بينها جاكوزي, مركز للياقة البدنية, ساونا, مسبح داخلي, سبا. إن كنت تتطلع إلى إقامة مريحة وهادئة في المدينة، فستجد في فندق بريزبان ماريوت بيتك الثاني. Close to the main shopping area - walking distance or a short ferry ride. Restaurant food is simply amazing with great restaurant staff and chef! Comfortable bedding and spacious room. Room is clean and well kept. We stayed for a night , very comfortable rooms but one thing which was disappointing is they charged us for parking . If such big chain of hotels can not provide parking to their guests who can ? Rest everything was good ! excellent hotel. It is close to the River walks ( 10 minutes to Botanical Gardens) and great restaurants. Queen street Mall and the theatres are only 12 minutes walk. Lovely river views and very quiet. from point of check in until leaving everything is done perfect / I would definitely stay here again and our girls rate the breakfast experience as amazing ! all staff were trained exceptionally and we enjoyed our stay. slight criticism is the beds in the twin rooms aren’t so comfortable but still okay. The staff in the restaurant are exceptional and the wagyu beef is out of this world. Staff friendly and helpful. Room good size and clean. Breakfast ok. Location is good. Only minus no coffee/tea making facilities in room. I would not recommend staying there. We attempted to seek an early check in to which we were transferred 3 times only to be hung up on. So we changed our travel plans and arrived at 4pm to which we were told our room wasn't available with no apology for that just a look of 'its not my problem and go away'. We are there for our anniversary and the staff surprised us with a box of chocolates which was very thoughtful of them. Location was also convenient and quiet. Breakfast was also great with good variety. The hotel is located at the CBD, with good scenary and cozy room. The room is tidy and cozy, room service is nice too. I requested for slippers and travel adaptor, after I got them up, the helpdesk phoned me a follow up call afterwards, see if my request was fulfilled. Tooth brush and slippers are not provided in the room. But some items can be provided as requested without charge. greatly enjoyed our stay at the Marriott in Brisbane. We had a river view and a lovely outlook of the Story Bridge. A shame we were in town for a wedding so did not get to enjoy the facilities very much but what time we did have at the hotel was very pleasant. We were delighted to be given early check-in when it was requested. Wished we called up earlier to confirm the availability of it, rather than on the day itself. That aside, the staff were very friendly and delivered a wonderful experience one should expect while staying at an established brand like Marriott. The room was indeed clean and comfortable, making it a perfect weekend stay for us. Brilliant. Staff were excellent.A lovely stroll along the river to the city only minutes away. Dozens of restaurants within river stroll and you are just far enough to escape the noise and hustle of the city. 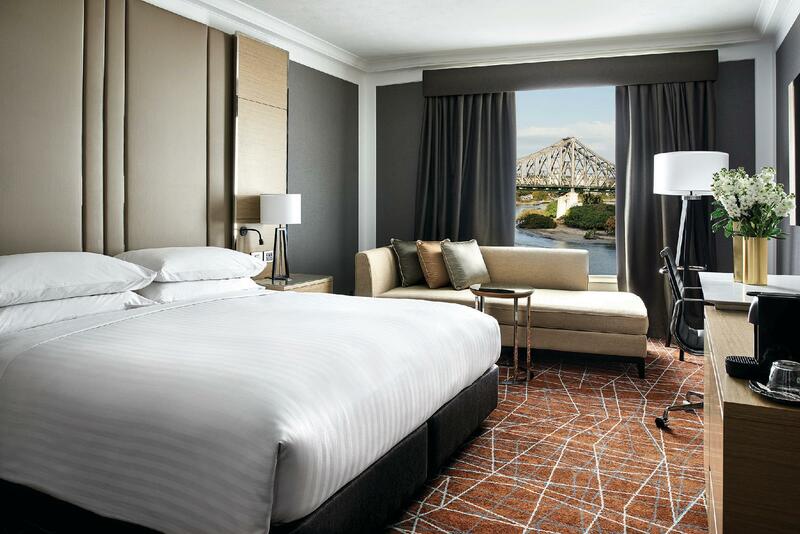 Australia is pricey in general but the stay at the Brisbane Marriott was well worth it. I only had one night to stay there but it was great to relax. The service was friendly and readily responsive. The only thing I would change is have free Wifi. There's no reason why they need to charge extra for that service. Highly recommend overall. My stay at this hotel was just perfect for purpose and provided an effortless and convenient backdrop to my business trip. The staff were very efficient throughout my stay. My room was sizeable, comfortable with a great view of the river and a fast and reliable internet connection. The location of the hotel was perfect being within a few minutes walking distance of all that i needed to do in Brisbane city centre for my business trip and also enabled me to be an accidental tourist and to visit the galleries and areas of interest in the city in between my meetings and my conference. We choose a different hotel in the CBD each Christmas and this year we were not disappointed! From the minute we stepped in until we left on boxing day we enjoyed everything about the hotel. The rooms are a great size, very well appointed - the bathrooms just stunning and very large. We had a city view instead of a river view and quite happy with it. The area around the Marriott is undergoing a bit of a revamp which will be great when it is completed. 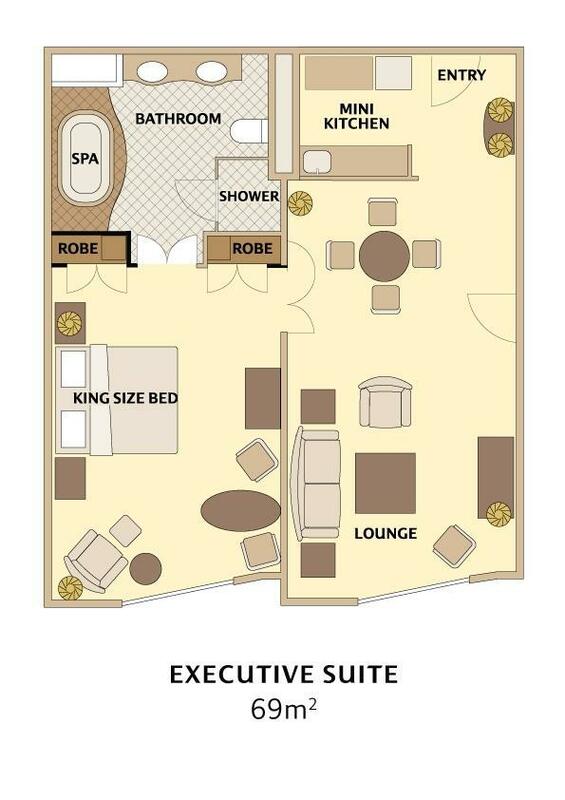 Our stay included access to the Executive Lounge - absolutely worth it. Great evening canapes and generous drinks. 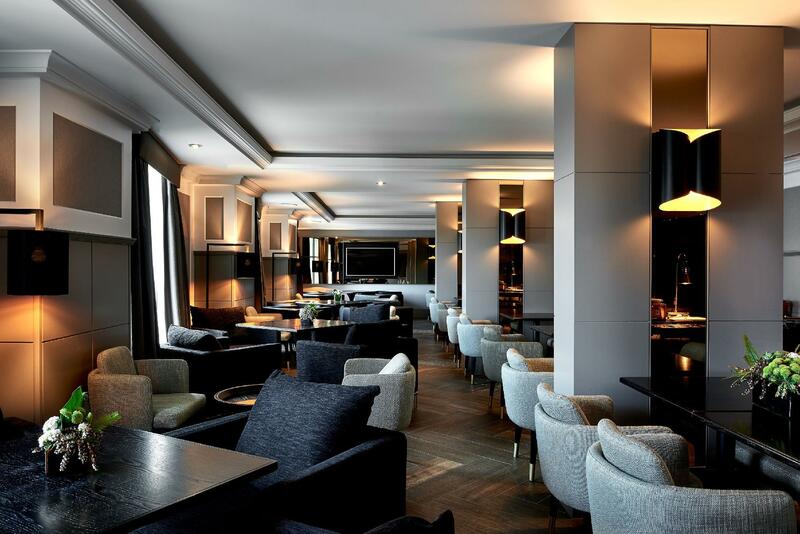 Overall this has become one of our favourite hotels in the city. Stayed during a business trip to Brisbane. Marriot-quality Rooms as expected. Location was good for a hotel in the City-center. 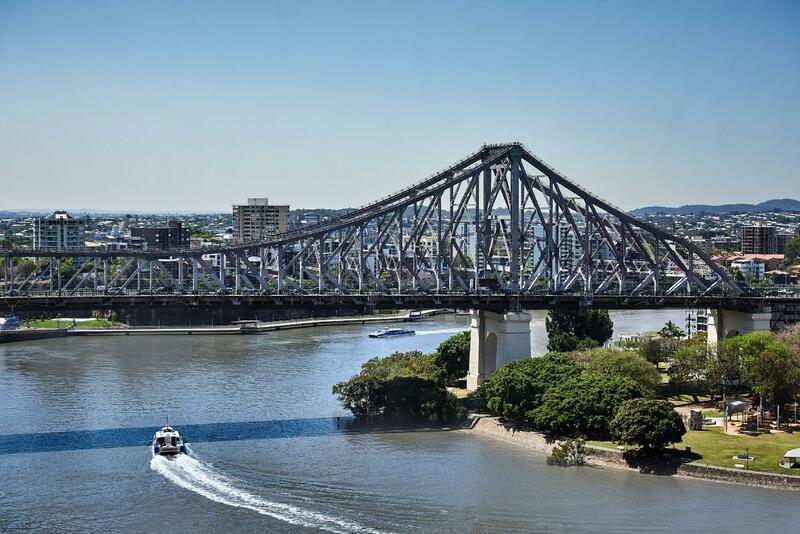 Just 3+ blocks and walking distance to all the major shopping spots in Brisbane whilst being far enough to be away from the hustle and bustle.